Another ten-track content-mashed-into-the-form-of-a-playlist type thing, featuring the likes of Bill Callahan, Bright Eyes, How To Dress Well, Deerhoof, James Blake and a selected few more. Click here to listen to it and here to browse through our extensive archive of Spotify playlists. Bill Callahan, who was once known as Smog, let us know this week that he's got a new album on the way. It might be called Revolution and will come out some time in mid-April. We think. Read more about it (not that you really need to at all) here. You wait ages for a 9/10 review then several come along at one time. This is just the first of them. How To Dress Well's Love Remains attracted glowing praise in the highest from our editor. Read Sean Adams' review here. The second of three records to get 9/10 in recent days, this one is too truly deserving of its score. James Skinner had this to say about it: "If Cassadaga sometimes lacked that intangible, special quality that marked Bright Eyes’ earlier work, then The People’s Key possesses it in spades. The band has pulled off the difficult trick of sculpting a record concerned with weighty, complex themes and made it sound like the breeziest, most effortless thing in the world: a collection of fleet, shimmering pop songs; a master-class in sonic splendour; a bold, beautiful and brilliant reinvention that should surprise as many as it will enthral." Hey, we have photographers out in Amsterdam, don't you know! The Phoenix Foundation played at The Paradiso the other day and Carmel McNamara was there to take some snaps of it. View them all here. 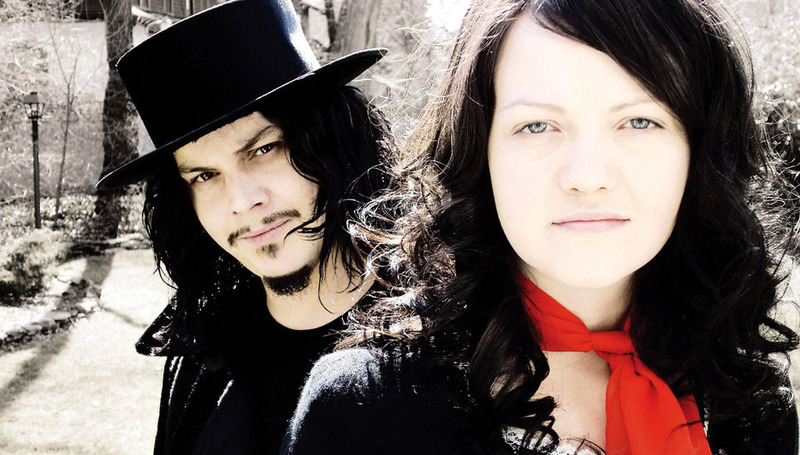 Turns out that it won't in fact be one more cup of coffee for the White Stripes, who have decided to call it a day after some years and some more albums. Although their recent output wasn't perhaps of the same standard as earlier, they certainly left an indelible mark on many people's musical consciousnesses. We had a bit of a Deerhoof party this week with a whole range of 'hoof related content. This included an 8/10 album review of their new one, their guide to combating evil, a track-by-track review of that album and an article on their forces for both evil and good. Excellent stuff. James Blake, on the other hand, didn't fare so well. His much-anticipated "game changing" album scoring just 5/10. It's not that the record doesn't have potential, it's just that the potential is filled mostly by silence, which doesn't help matters. Read Noel Gardner's assessment of the self-titled album here. Esben & The Witch also curated and wrote a ton of content for us this week. The whole takeover index page can be accessed here. Some gnarly stuff there. You can also read our review of their album, which was at the very beginning of this week technically last week, but still very relevant. I found out that Sea of Bees is in fact one person. One woman. Julie Ann Bee, to bee precise. She writes Songs For Ravens. We didn't think it was all that much cop, in truth. You might like it, though!